A major complaint with carpet is matting and crushing. To address this concern, some manufacturers such as Shaw offer a No Mat/No Crush warranty on some of their carpet products. This is basically another appearance retention warranty. 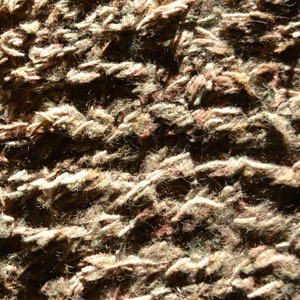 While most all carpets are covered by a wear warranty the problem is really not wear as synthetic fibers do not wear out, they “ugly out.” The ugly out is often matting and crushing as the carpets yarn looses its resiliency. Crushing is defined in the industry as follows: Restorable loss of significant pile thickness due to foot traffic. No Mat/No Crush warranties will generally warrant that the carpet will retain a certain percentage of its original pile thickness (80%, 90%, etc.) Crushing caused by furniture, including impressions left by legs of furniture, is not covered. Matting is defined in the industry as follows: Any unusual loss of twist from the tips of the pile tufts and entanglement of the fibers. The carpet must be properly installed. Carpet and Rug Institute (CRI 104, 105 or 2011) are routinely referred to. The carpet must be installed over a pad that meets the manufacturer’s requirement. The manufacturer may refer to a pad meeting a particular specification, such as HUD UM 72a, Class 1, or Carpet Cushion Council standards. These specifications set minimum standards for weight, thickness and density along with other physical characteristics that will determine a pad’s performance. The carpet must be cleaned by a qualified professional and a period of time such as 1, 1 1/2, or 2 years will be specified. A particular method such as hot water extraction or dry cleaning will be specified by a particular manufacturer. Most manufacturers will require that receipts be maintained as proof of service. Some manufacturers will require that the consumer maintain a list of spot cleaning products used on the carpet. Terry Weinheimer is a nationally recognized carpet and floor covering consultant, inspector and co-author of Carpet Inspectors Handbook.